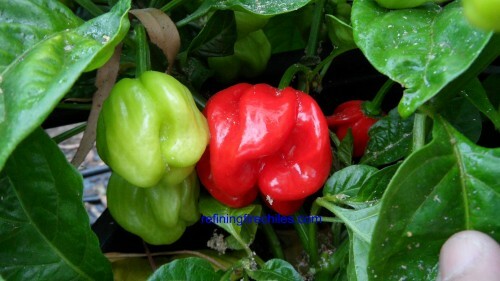 Scotch Bonnet-(Capsicum chinense)-The Scotch Bonnet is one of the most flavorful peppers on earth. Origin is Jamaica but now they are grown throughout the Caribbean and Africa. The variety we are selling here in powder form is the Red Jamaican Scotch Bonnet. We chose the red as it has more flavor and heat than the Yellow variety so will give you more for your dollar.YOU ARE BUYING DRIED POWDER BY THE KILO. IF YOU WANT LARGER AMOUNTS FOR MANUFACTURING CONTACT ME FOR BETTER PRICING STRUCTURE. IF YOU ARE OUTSIDE OF THE UNITED STATES AND WANT LARGER AMOUNTS CONTACT ME.THIS PEPPER POWDER YOU ARE PURCHASING HAS BEEN FROM PEPPERS GROWN OUTSIDE THE UNITED STATES.